Welcome to the page that we created for our Palm Beach Gardens, Florida marine electric clients of the present and future. Our company has been serving people throughout this area for the better part of four decades, so you know we will be right here, standing tall any time you need us. And speaking of standing, we stand behind all of the marine electric work that we do with absolute pride. This city is one of the best places to live in the South Florida region, and it is well known for the many beautiful gated communities that beckon to local residents. It is also famous for its world class golf courses, and in fact, the city has earned the nickname “The Golf Capital of the World.” This is not just the city’s opinion of itself; it has been the home of numerous different professional golfers, including Rory McIlroy. The sport of tennis is well represented in the city as well, and Venus and Serena Williams have a local connection. 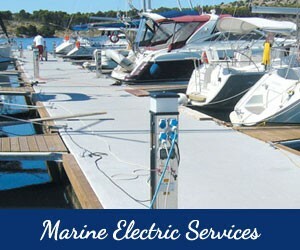 Clearly, this is a first class town, and we are glad to be able to provide marine electric services to its residents. From Delta to the North Jog Road/Ironhorse Boulevard section to the Bee Line Highway/Caloosa Boulevard area, for marine electronics in Palm Beach Gardens, Florida, Kasper Electrical is the trusted resource. You would be hard pressed to name an electrical service that we do not offer to people in this area. When it comes to the land, we design, sell, and install shore power and distribution systems, and we offer batteries and charging solutions. On the navigation side of things, we have expertise with GPS, radar, and autopilots. For your onboard entertainment, we provide satellite television, satellite communications and Internet, audio and visual systems, and we can handle all the system integration networking. You can also rely on us for remote monitoring and marine security systems, underwater lighting, LED lighting, and more. 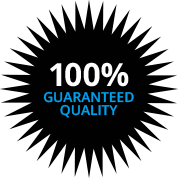 If you have something specific in mind, as you can see, we can certainly satisfy your needs and exceed your expectations. However, if you would like to explore your options with regard to all of high tech marine electronics that we offer, we would be glad to answer all of your questions. To speak with one of our Palm Beach Gardens, FL marine electric specialists, give us a call at 561-285-8036.